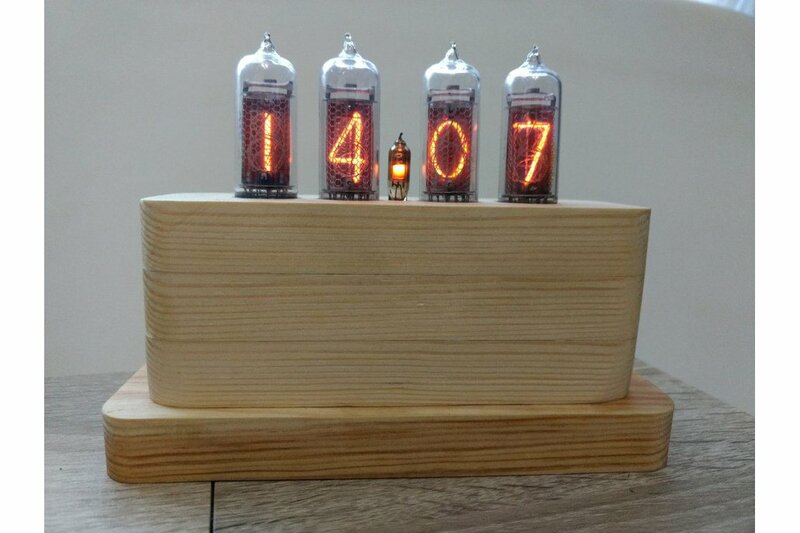 ChronosArtStudio is a woodworking studio that creates different styles of handmade clocks such as wall clocks, nixie tube clocks, etc. We use only ecology clear high-quality materials. For Your attention, the handmade rare Nixie Tube Clock assembled with extra rare vintage Soviet IN-14 tubes. All of the tubes are new from old stock. This clock assembled in a handmade wooden case. No Backlights, No LEDs. Just SOFT WARM NIXIE LIGHT! Will be shipped worldwide by registered airmail with track number. Will be shipped within 1-2 business days after cleared payment received. Delivery time is about 2-4 weeks but depends on destination, holidays, customs clearance, etc. We are not responsible for any wrong or undeliverable addresses. Import duties, charges, taxes are the buyer's responsibility. Good Luck and Thank You for your attention.